A joint waste contract for East Sussex, which includes Wealden, is to end in June 2019, four years early because of the falling price of recyclable materials. The East Sussex Joint Waste Partnership signed a £120 million 10-year deal with Kier to collect household waste and recycling, as well as clean our streets and beaches. The Partnership is formed of four district/borough councils (Eastbourne, Hastings, Rother and Wealden) together with East Sussex County Council as t he disposing authority. Last year Kier warned shareholders about the declining value of plastic bottles which is highly correlated to oil prices. 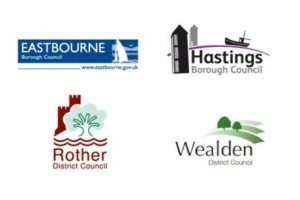 Kier has been delivering waste, recycling, beach and street cleansing services as part of the East Sussex Joint Waste Partnership since 2013, delivering excellent service to circa 200,000 properties in the region. We’re proud of our satisfaction rate of 95% and our investment in local community projects. Following significant change in the recycling market Kier and East Sussex Joint Waste Partnership have mutually agreed to end the contract with effect from 28 June 2019. We continue to work closely together to provide a high quality service for residents and stability for our teams during the transition. The four councils save £3m a year through our partnership with Kier, and the average recycling rate across the partnership has increased from 37 per cent to 40 per cent, that’s an extra 1500 tonnes or 130 lorry loads a year. Our focus as a partnership remains on the standard of services being provided for residents so we will continue working locally with Kier to achieve the best possible levels of service over the next two years. By the time the contract expires the councils will have saved circa £18m. In January 2014, Kier agreed to a £110,000 compensation payment because of missed rubbish collections when the scheme was first introduced in Wealden in 2013. The current kerbside waste and recycling collection system will continue as normal until 28th June 2019. Wealden District Council urges residents to continue to recycle as much as they can. During 2017 the four councils will determine the way forward, before procuring a new service. So, as usual nowadays, a great scheme that’s good for the environment and good for its people, founders because a commercial firm isn’t making enough profit. Money is more important than the planet.